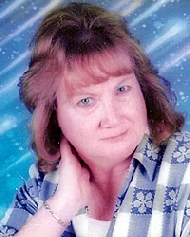 Peggy Jean Martin Phillips obituary. Carnes Funeral Home. Peggy Jean Martin Phillips lost her battle with cancer on October 9, 2017 at the age of 73 years and 11 months at home in La Marque, Texas with husband of 33 years, Eurit Phillips, and family by her side. Peggy was born to Homer S. and Lois M. Martin on November 12, 1943 on the family farm in Ben Hur, Limestone County, TX. In June 1945 the family moved to Texas City. Peggy attended school in the Texas City Independent School District. During her teen years, she asked her Savior, Jesus Christ, into her life and lived a Christ like life to the end. She was baptized into the membership of Northside Baptist Church, Texas City. At death, she was a member of Anointed Praise Missionary Baptist Church, Hitchcock, Reverend La’Taron Green, Sr., Pastor. Peggy is predeceased by grandparents, Asbury A. and Ada L. DeVore and J. J. and Texia Martin; parents, Homer S. and Lois M. Martin and Sedalia Beaver and Alex Brightman; sisters, Mary Beth Wilkerson and Patsy Sue Chandler, and brother, Robert Lee Martin. Peggy is survived by husband; sons, Douglas Pennington (Norma) La Marque, Shane Pennington Pasadena, Reginald Phillips Texas City; daughters, Delena Bryant, Stephanie Valdez (Pasquel), Michelle Cortez (John) Texas City, Nancy Davis, Eurhonda Johnson (Sedrick) Houston, Kay McNeil (Michael) Galveston, daughter-in-law Lorrie Pennington of League City and many grandchildren, and great great- grandchildren. She is also survived by sisters, JoAnn Walker, Irving, Charline Andreau, Waco, Ruth Hutto (Don), Frankston, Tillie Henson (David) La Marque, Katie Webb and Alice Jean Baker, Texas City, Deloris Faye Johnson (Willis) Dickinson, Linda Norman (Tommy) Dallas; brother, Homer D. Martin (Anna) Athens, and many nieces, nephews, cousins, Aunts, other family members and numerous friends. Peggy’s career was mainly in food service management at The University of Houston, Clear Lake Campus, and Saint Thomas University, Houston. She continued her management skills at Bay Oil Shell Mart, Dickinson and La Marque. In addition to serving family, and career she was active in the City of La Marque government as a voice for the people serving on various committees. Family will greet guests at 6:00 pm on Saturday, October 14 with a 7:00 pm Celebration of Peggy’s life at Carnes Funeral Home, 3100 Gulf Freeway, Texas City, Texas 77591, Pastor La’Taron Green, Sr. and Reverend Marcom Phillips officiating. In Lieu of flowers, the family request contributions to Anointed Praise Missionary Baptist Church, mailing address is 1402 Appomattox, Texas City, TX 77591, Pastor La’Taron Green Sr. (409) 750-3787, or the charity of your choice. The family wishes to expresses our sincere appreciation to A-Med nurses, social workers, family members, and friends who have cared for Peggy and offered support for all the family. Honorary Pallbearers are: Juan (John) Cortez, Gary Hutto, Michael McNeil, Douglas Pennington, Shane Pennington, Reginald Phillips, Lynn Phillips and Robert (Bob) Walker.